I spent the week buried in the Philadelphia archives, but somehow the world kept on turnin. Here are a couple of stories this week that have nothing to do with Joseph Lancaster. Do they care that we’re conservatives? Pence at Hillsdale commencement—the conservative collegiate long game, at Politico. What do the locals think? Here at ILYBYGTH. A Canadian university wonders: Can only Indigenous professors teach about First-Nations history? At CBC. Peter Greene tees off on Florida’s standardized tests for five-year-olds. At Curmudgucation. Should fans of Wendell Berry forsake social media? Matt Stewart makes the case at FPR. Get em young: Sarah Pulliam Bailey rides along on a Christian-nationalist kids’ tour of DC. At WaPo. What does Christian nationalism have to do with creationism? At ILYBYGTH. Poll numbers show some conservative evangelicals believe the Jerusalem move is a Biblical necessity, at WaPo. Moving the embassy and the evangelical vote, at R&P. School revolts hold the key to stopping Trumpism: Henry Giroux at BR. Standardized tests…what could go wrong? The fallout from glitchy tests in Tennessee, at Chalkbeat. 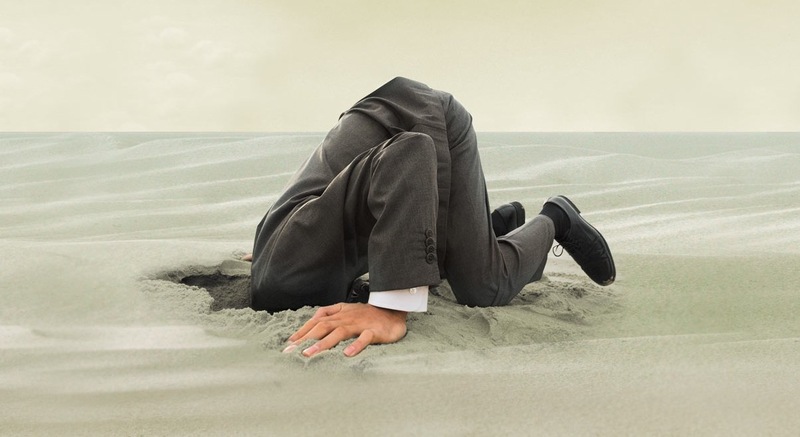 Arizona tried to edit evolution out of its science standards, at KNAU. It’s the oldest trick not in the book, at ILYBYGTH. Asking uncomfortable questions at SMU—“Why are Black people so loud?”—“What is the difference between white trash and white people?” At CHE. You’ve heard all about it by now. Vice President Pence traveled to Hillsdale College in Michigan over the weekend to cheer on the conservative college’s commencement. So here’s our question: Why don’t the locals mention Hillsdale’s peculiarities? Hillsdale, too, regularly brags about its conservative stances on curriculum and funding. All students enroll in a great-books curriculum and no students receive any federal funding. In case anyone misses it, the campus includes statues of conservative icons such as Ronald Reagan. So why don’t the locals seem to care? On the local news about Pence’s address, absolutely no mention was made of the conservative nature of the college. Pence’s speech was stripped of any ideological meaning. Graduates talked about their jobs and their hopes for the future, a future pointedly stripped of any mention of taking over Washington DC with a new, Hillsdale-inspired conservative vision. Is this simply Midwestern politeness? Local-news inoffensiveness? Or do they just not care about the central mission of their local university? What Gets Conservative Kids Excited? So…what do conservative college students get excited about? Monarchism, apparently. That’s the word from conservative stalwart Patrick Henry College, at least. And, as I found in the research for my upcoming book about conservative evangelical higher education, today’s monarchist enthusiasts are joining a long tradition at conservative schools. I can’t help but wonder if today’s college presidents will respond the way presidents always have responded. It might just be hopeful dreaming, but at National Review Jeff Cimmino argues that young students at conservative colleges are jumping on to the traditionalist bandwagon. 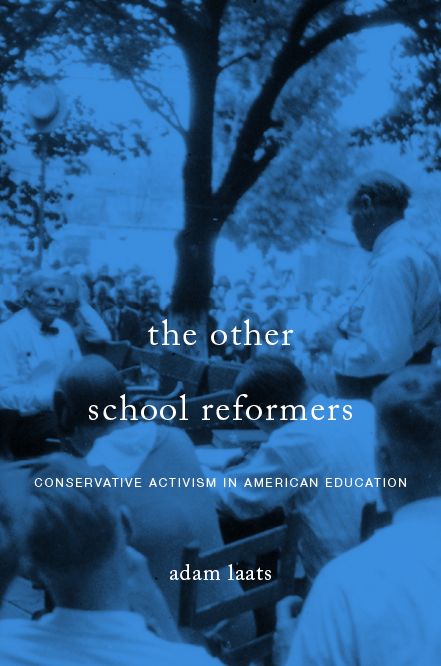 Mostly, at schools such as Hillsdale, Patrick Henry, as well as at mainstream schools such as Notre Dame, smart young conservatives are discovering the work of Russell Kirk, Edmund Burke, and other traditionalists. A king! Zoiks. It sounds kooky, but as I discovered in my recent research in the archives of other conservative evangelical schools, such student intellectual enthusiasms are nothing new. Cimmino doesn’t mention it, but monarchism and Burkeanism have not been the most potent intellectual traditions that have excited young evangelical intellectuals. Time and again, students at evangelical schools have discovered—as if it were new—the bracing intellectual rigor of Calvinism. I include in my book, for example, the story of Calvinist dissent at Wheaton College in the 1930s and 1940s. Back then, high-flying scholar Gordon Clark accepted a job at Wheaton. Clark had an Ivy-League PhD and the kind of elite academic credentials evangelical colleges like Wheaton yearned for. But Clark’s Calvinism rubbed along awkwardly in the interdenominational world of 1930s American fundamentalism. As soon as he arrived, Clark started a “Creed Club” on campus. His brainy Calvinism excited and attracted plenty of Wheaton students. But Clark’s unyielding intellect made him unpopular with the administration. What did Wheaton do? In 1943, they showed Clark the door. They loved his resume, but they couldn’t accept the notion that their students were pooh-poohing ideas so near and dear to the heart of American fundamentalism. If such student enthusiasms got too much attention, Wheaton worried it would lose support from the fundamentalist community. Could that pattern repeat itself? At Patrick Henry, especially, administrators might get nervous if students veer to the right of their school’s goal of reclaiming America for Christ. What would Patrick Henry leaders do, for example, if over-enthusiastic student monarchists began pooh-poohing American Constitutionalism? If they bruited about the idea that republicanism itself—Americanism itself—was nothing but a mistake to be corrected? Maybe I’ve spent too much time in the archives of university presidents, but I can’t help but think that Patrick Henry’s leaders would have to put a stop to such things, worried about what it might do to their school’s reputation as an outpost of more-American-than-thou religious conservatism. You can hear the cheering all the way from Michigan to Washington DC. The long-held dreams of Hillsdale College just might be coming true. This unique conservative institution has labored for 50+ years to become the premier intellectual training ground for American conservatism, and its influence in the Trump administration seems proof that it’s really happening. SAGLRROILYBYGTH are well aware of the Hillsdale story, but for those readers who aren’t, here it is in a nutshell: Back in the 1960s, the college dedicated itself to a self-consciously dissenting notion of conservative American higher education. Hillsdale is generally friendly to evangelical thinking, but it has never really been an integral part of the network of conservative evangelical schools I’m focusing on in my new book, Fundamentalist U. Some elements of its mission, though, are very similar. A few thousand highly committed and thoroughly trained young people, who were willing to put their Christianity to work in every sector of our society, could see America changed in our life time. If you substitute “conservatism” for “Christianity” in Hindson’s sentence, you’d end up with something like what Hillsdale is looking for. Hillsdale’s newfound influence in the Trump administration seems proof that the plan is working, at least in part. What does “conservative higher education” mean in Hillsdale, Michigan? The school stridently refuses to accept any government funding. Its core curriculum teaches a traditional vision of the European canon, guided by “Judeo-Christian values.” Its campus proudly features statues of conservative heroes such as Margaret Thatcher and Ronald Reagan. The faculty have always welcomed leading conservative thinkers, including Russell Kirk back in the 1970s, and today’s superstar conservative-evangelical historian and public intellectual D. G. Hart. When your humble editor read this morning that Hillsdale President Larry Arnn is getting some rare and valuable one-on-one time with Secretary Betsy DeVos, we wondered just how far Hillsdale’s star had risen with the new administration. In all the hubbub-ery following Trump’s inauguration, we missed one story: Back in February, President Arnn claimed to be on a short list for DeVos’s job. And, according to the school newspaper, Hillsdale alumni filled some important roles in the Trump administration. Josh Venable (Class of 2002) became chief of staff in the Ed Department. David Morrell (2007) served as associate counsel to Trump. And two alums, Brittany Baldwin (2012) and Stephen Ford (2010) wrote speeches for the President and VP. At least, they did back in February. In the current fast-changing White House, maybe they are out by now. The bigger point, however, remains the same. Hillsdale’s dreams, like those of other conservative schools such as Liberty University, Patrick Henry College, and The King’s College, has long been to exert more influence in government and politics. Hillsdale doesn’t talk about the “Christian” part as much, but the goal is very similar. Those of us who scratch our heads and wonder how any intellectual—progressive, conservative, or other—could support the clown-prince buffoonery of Trump would do well to appreciate the ways Trumpism is making long-held conservative dreams come true.